We stayed in the family suite. The room size is huge - it's a rare find in old town with this much space. The location is excellent too. Right in old town and a few steps away from the harbor. Lovely ambiance and reception area. Breakfast was amazing! Room was amazing. Very spacious and great decor. Right in the middle of the old city core, everything is close by. George called us the day of our arrival to ensure we knew where we were going and provided us with all we needed to check-in late. The suite with a jacuzzi was stylish and spacious. The bed was really comfortable. The hotel personels were very friendly and helpful. Great location, trendy place. Fantastic breakfast. I also enjoyed the balcony overlooking the old town. Wonderful small & classy hotel. Location in Chania was perfect, a block from the crowded harbor. Room was beautiful (301). Bed was big and comfortable. Kitchenette was helpful. Nice bathroom, and nice little balcony. And very tasty, healthy breakfadt. And staff was very good. All good! The hotel is located at the heart of Chania. The room is very clean and stylish with very friendly staff. I would definitely recommend this place. 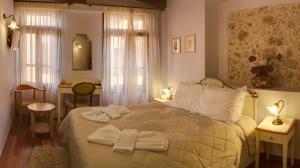 Beautiful quiet room, amazing old-town location, comfy bed, balcony with view of Venetian Harbor. Delicious, abundant breakfast with eggs cooked any way you want! Extremely helpful and courteous staff. Great location, helpful staff, nice room, with a balcony. 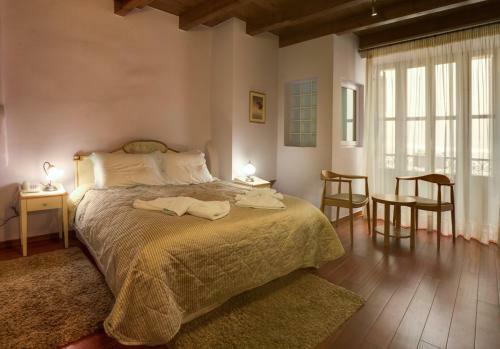 Lock in a great price for Palazzo Duca – rated 9.3 by recent guests! Palazzo Duca This rating is a reflection of how the property compares to the industry standard when it comes to price, facilities and services available. It's based on a self-evaluation by the property. Use this rating to help choose your stay! 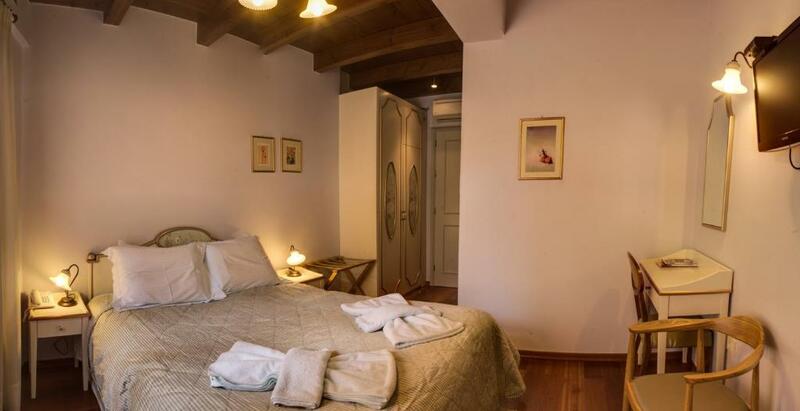 One of our top picks in Chania.Near the Venetian harbor in the old city of Chania, Palazzo Duca features elegant studios and apartments with air conditioning and free Wi-Fi throughout. Taverns, café-bars and the central market are within a short stroll. Fitted with Cocomat mattresses, the accommodations offers a kitchenette, fridge, LCD satellite TV and safe. Free toiletries are also included, while some have a spa bath or seating area. Most units open out to a balcony with views of the old city. Nea Chora beach is just 2,650 feet from Palazzo Duca. Other popular beaches, such as Chrissi Akti and Agii Apostoli, are located less than 1.9 mi away. Chania International Airport is at a distance of 7.5 mi. 뀐 Located in the real heart of Chania, this property has an excellent location score of 9.7! When would you like to stay at Palazzo Duca? -bathroom with hairdryer and toiletries. Please note that this room type can accommodate an extra bed upon extra charge. Opening to a balcony with views of the old city, this air-conditioned suite is located at the upper floor. 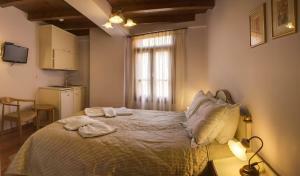 Fitted with a Coco-Mat mattress, it offers a flat-screen, satellite TV and a kitchenette with fridge and coffee maker. Free WiFi and a safety deposit box are provided. This triple room has a kitchenware, stovetop and air conditioning. House Rules Palazzo Duca takes special requests – add in the next step! Palazzo Duca accepts these cards and reserves the right to temporarily hold an amount prior to arrival. During the winter period, the front desk will be open for a limited amount of time. Please inform the property of your arrival time in advance, in order to arrange check-in details. Please inform Palazzo Duca of your expected arrival time in advance. You can use the Special Requests box when booking, or contact the property directly using the contact details in your confirmation. The shower head was slightly cracked so the water was going all over the place but it isn’t a big deal. Maybe it can be replaced. Wonderful staff- very friendly and communicative. 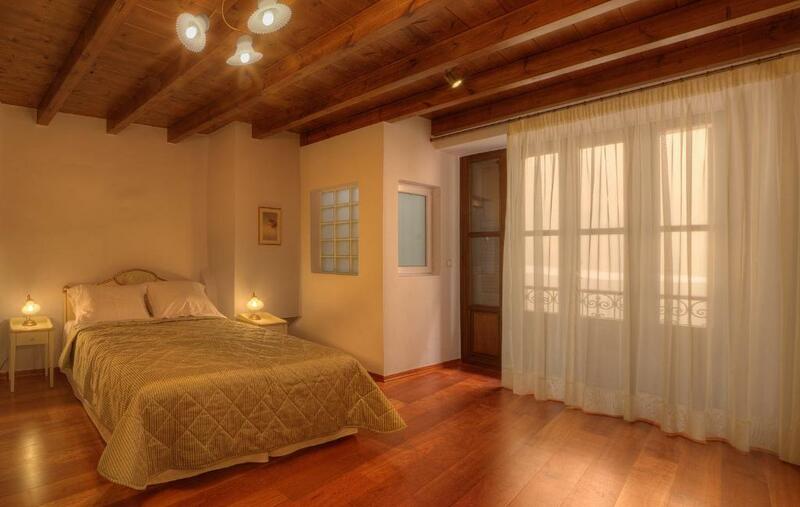 Nice and modern room right in the old town. A beautiful hotel of high standards. Staff are very nice and most helpful. Perfect location for visiting Chania. No frypan, mugs or cutting board in the kitchenette - minor issue. We managed fine. This was far and away the most comfortable and best vfm property in our 3 weeks on Crete. Indeed, it was the only place we were warm in from the moment we arrived despite being off season. We froze everywhere else. Unconditional recommendations from us!! Had a small problem with the room flooding in the first night, after some very heavy rain, the staff did everything they could to sort it out and amazingly it was all cleared up and dried out before we got back from our morning's trip. Gorgeous room, lovely staff and a fantastic location. Would definitely stay again. The shower head couldn't attach to the wall (it seemed a bit broken), so we had to hold it to shower, but it wasn't a big deal. Very friendly staff and an absolutely perfect location in Chania. We had a great stay, very comfortable accommodations and everything we needed. Very small bathroom and the tiny extra bed offered to our teen. Very close to the harbor and right on the old town. The breakfast and the amazing service of the lady preparing it and serving it. Great location right in the old city and meters from the waterfront. Staff are lovely and could not have been more friendly. A moderate walk from car parking, which could have been difficult to find a space. Some late evening noise from the adjacent bar/taverna. Handy location and a lovely character hotel in the old-quarter.